"BOOM!" Sweatshirt: Phillip Lim for Target, Jeans: rag & bone (Shopbop), Boots: Grandma's Ring: Kendra Scott "Naomi double ring"
I love the sweater so much - I've always regretted not buying one when that collections was out. 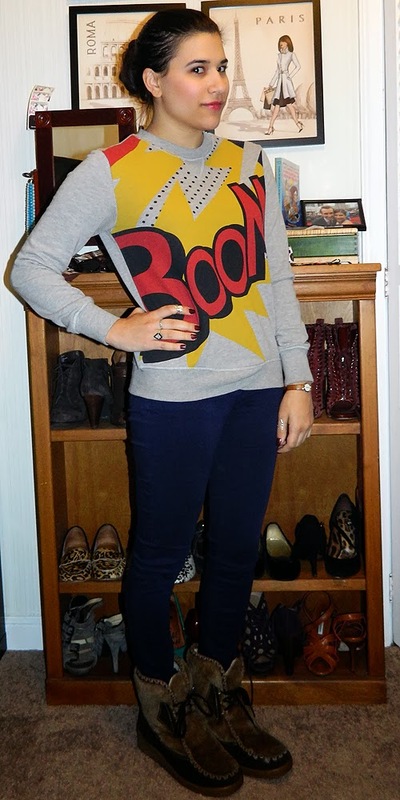 You can never go wrong with the BOOM sweater !